The 5 best Cyber Monday 4K TV deals | What Hi-Fi? As sure as night follow day, Cyber Monday follows Black Friday. And there are still plenty of great TV deals. 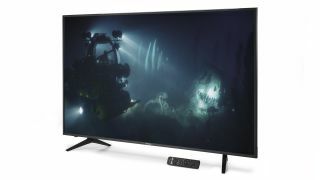 We've scoured the best Cyber Monday TV deals and whittled all the 4K TV deals down to one perfect list, with what we think are not only the five best TV deals out there right now, but five genuinely great TV bargains.